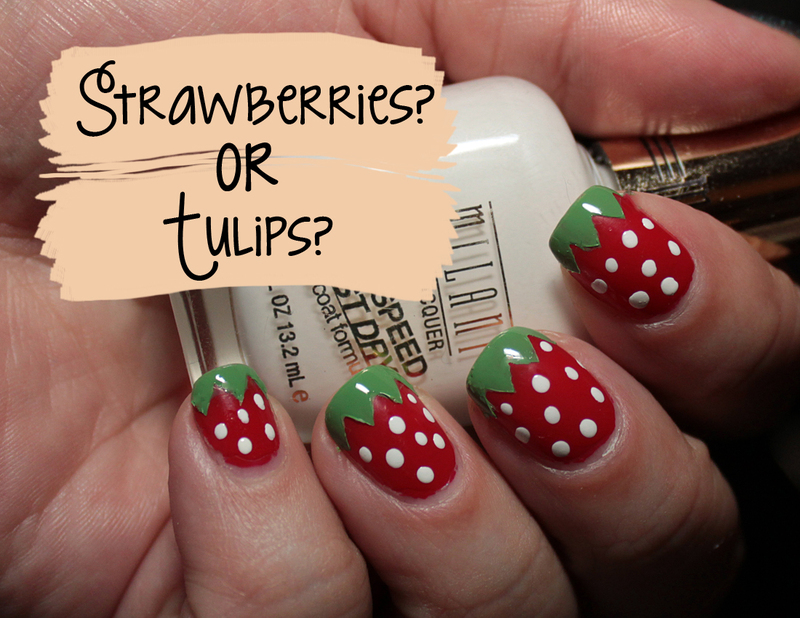 Are they strawberries.... or tulips with white dots? I don't really have much today for this first day of 2015 hahah! But let's do some nail art, shall we? I put together this look using Seche Smitten, Milani White on the Spot, Julie G Holla-Peno and VyNails (all provided as press samples)! I already had the base of Smitten down, when I couldn't shake the feeling that the color reminded me of strawberries. So I brought out the VyNails zig zag decals and Holla-Peno to make the leafy green. I dotted with the Milani, and here you have it!